As the third leading type of dementia, behind only Alzheimer’s disease and vascular dementia, dementia with Lewy bodies (DLB) is often linked with symptoms similar to Parkinson’s disease. Present in several other brain disorders, Lewy bodies are abnormal aggregates of protein, primarily alpha-synuclein. 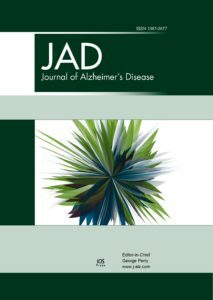 Detecting Lewy bodies early before dementia-related symptoms emerge is important to the management of DLB. A recently published study examined two potential predictors of DLB, a diagnosis of major depressive disorder (MDD) and systemic autonomic dysfunction, including an abnormal ventilatory response to hypercapnia (VRH), both of which are common in DLB patients. While working in Dr. Alois Alzheimer’s lab over 100 years ago, Dr. Frederick Lewy discovered his namesake clumps of proteins, including alpha-synuclein, ubiquitin, neurofilament, alpha B crystallin and often, tau proteins. While the actual function of alpha-synuclein protein is not well understood, the similar symptoms of DLB to Parkinson’s disease seems to point to how the brain handles these protein plaques and tangles. One of the better-known comorbidities of DLB is MDD, present in up to 38% of cases. In fact, several studies report that depression is an early sign of DLB. In addition, the autonomic system is also affected by early DLB and several studies have used the ventilatory response to hypercapnia (VRH) as a DLB biomarker. The current study, published in the Journal of Alzheimer’s Disease, followed 35 patients longitudinally who were diagnosed with late-onset MDD to see if abnormal VRH results led to future DLB. After the patients were diagnosed with MDD, according to DSM-IV criteria, they each completed a battery of psychological tests, including the MMSE to assess global cognition; the logical memory II subscale of the Wechsler Memory Scale-Revised for immediate and delayed recall; the Trail Making Test for attention; the clock drawing test for visuospatial function and the category fluency test for verbal fluency. In addition, each test subject completed a VRH autonomic exam and brain MRI. They were then asked to return for annual exams for at least three years to monitor any progression towards DLB. Results showed that the 18 patients with abnormal VRH results also developed DLB. However, none of the 17 patients with normal VRH results ended up with DLB within the study period.